Luckily, the “Eagles apocalypse” that some had predicted for last Sunday did not take place. Luckily, the only mass that took place was of the papal variety, and not a mass exodus of Birds fans jumping off the bandwagon. 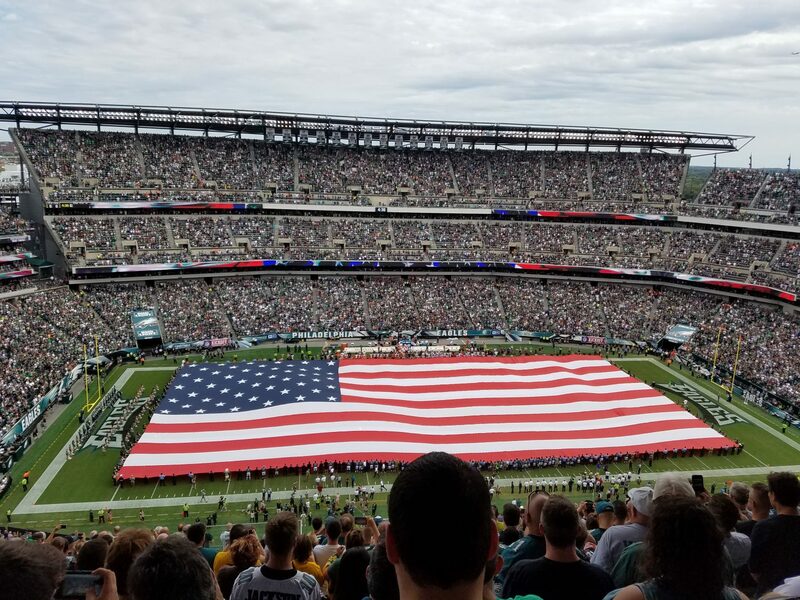 The Eagles came out and gave their fans some inspiration in the 1st half, as they jumped out to a 24-0 lead, which included a highlight reel punt return touchdown by Darren Sproles. The running game, which was moribund for all sixty minutes of the Dallas game, came to life as well, as the line went back to basics and tried to plow over defenders instead of running stunts that always seemed to leave an open Cowboys defender. But the offense seemed to go to sleep in the 2nd half, unable to score any points while the Jets came back to make a game of it at 24-17. And while that fortunately became the final score, it did nothing to give Birds fans confidence that this offense can become what it was intended to be. But much like a baby who must crawl before he/she can walk, perhaps this team, and its quarterback, must take baby steps in the early going as they adapt to all of the new players who somehow have to fit and adapt to Chip Kelly’s offense. After four games, we’ve seen exactly four quarters of good football from this offense, which does not make for a good average if you’re keeping stats at home. Sometimes it’s the play of the line that does not give the running backs holes to run or the quarterback time to pass. Other times, with time to throw, it’s the wide receivers who are not getting open, which is not a surprise when you consider that the veteran of their top three receivers is Jordan Matthews, who is only in his 2nd year. But the most disconcerting thing is when the receivers are open but Sam Bradford seems to make a throw that gives them no chance for a catch. The line and the receivers can improve with time, and the hope is that Bradford will shake off his rust from lack of playing time due to injury the last few years and join them. But that’s the magic question – is the quarterback just rusty or just not very good? If it is the latter, then the question of whether Chip the GM is as competent as Chip the coach will be asked time and time again. If Bradford is not all that he is advertised to be, the Eagles can release him after this year and move on. But then what? Nick Foles, while a capable NFL quarterback, is not in the top tier of a Tom Brady or an Aaron Rodgers, which is why the Eagles traded for Sam Bradford in the first place. But if the Bradford experiment does not work, who can fill that role? A team has to be either really bad, and be lucky enough to be really bad in a year where there is a stud quarterback in the draft, or you have to take your chance on an injured quarterback who can fill that role when healthy (much like the Saints did with Drew Brees some ten years ago). The next four games should give us the answer on the QB position. Half a season in, and the “rust” card is no longer an option. Let us hope that this offence can put it together with time. As for this week, while Hurricane Joaquin is no longer in the weather picture for Sunday’s game, “Hurricane Mathews” (as in Eagles running back Ryan Matthews) may pose some problems for the Redskins defense. Look for Mathews, as opposed to DeMarco Murray, getting the bulk of the carries as the Eagles keep it simple and win, 24-14.